The circumstances Jesus faced would have caused the strongest of individuals to feel sorry for themselves. His own family didn’t believe his message and desired his destruction. When he prayed, he didn’t get the answer he desired. He was betrayed by Judas, a professing friend. He was falsely accused, and unjustly tried. His most devoted followers first slept and then ran, in his greatest hour of need. Through it all, Jesus expresses pity for others, but he never engages in pity for himself. When we examine his responses, we gain a greater understanding for where our focus should be, and how we can avoid self-pity’s dead end road. Jesus would dwell upon the love of God, seek the will of God, and live for the glory of God. If you are struggling with discouragement today, try this three-fold plan. Over your lunch break make a list of the ways that God has shown his love to you. Next, consider what would God have you do right now? Doing an act of kindness for a fellow worker in need (Luke 10:25-37). Being a wise steward of your time and finances (Matt. 25:14-30; Eph. 5:16). Such actions focus us on doing the will of God in the moment. Finally, consider how you might walk in greater humility, focusing other’s attention towards the glory God and away from self. John the Baptist had it right when he said, “He [Jesus] must increase and I must decrease” (John 3:30). Dwell upon the love of God, seek the will of God, and live for the glory of God. 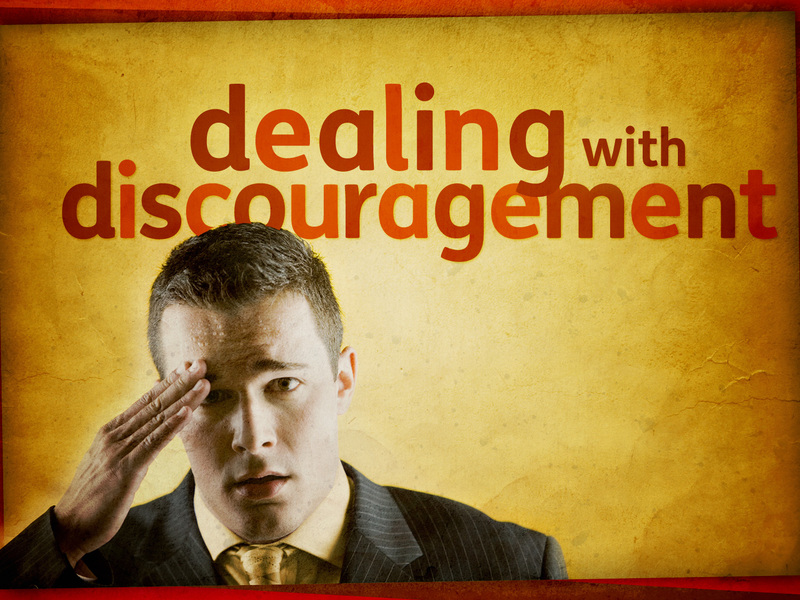 This entry was posted in Biblical Strategies and tagged glory of God, love of God, overcoming discouragement, what to do when I'm depressed, will of God.